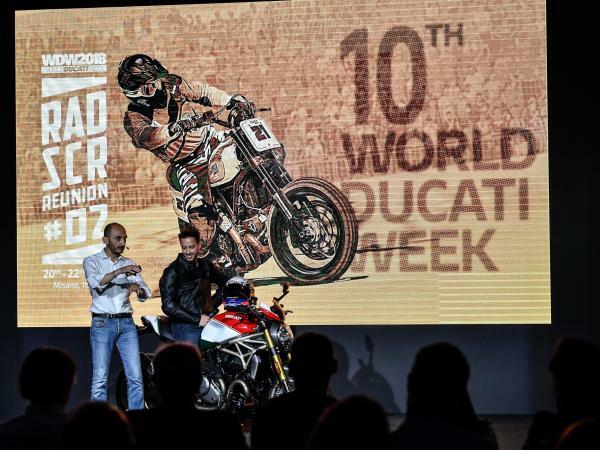 Less than a month to go until the 10th edition of the World Ducati Week that will exhilarate the Romagna Riviera and the Misano World Circuit “Marco Simoncelli”. From 20-22 July, thousands of Ducatisti from every corner of the world will celebrate their passion for the legendary “Reds of Borgo Panigale”. Ducati announces day-and-night activities and events happening at the Circuit and along the Adriatic Riviera. A full schedule of events, parties, motorcycle parades, shows, concerts and races on track with Ducati riders of all times: all this will be the WDW2018. On Friday, 20 July, Flat Track Race will open the competitions. 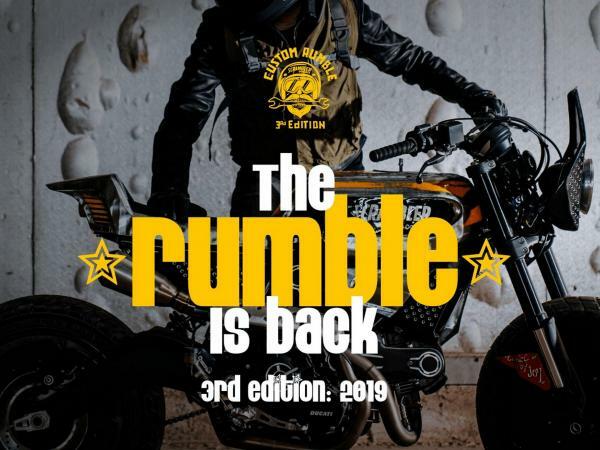 A direct elimination race for eight riders: Andrea Dovizioso, winner of the 2016 edition, Troy Bayliss, Danilo Petrucci, Jack Miller, Michele Pirro and others will battle it out on the seat of a Scrambler Flat Track Pro, specially set up in race configuration. Lined up for Saturday, 21 July, “The Race of Champions” is the real novelty of this 10th edition:, a track race that only Ducati could give its fans. Twelve Ducati riders of all times will duel each other on the track of the Misano World Circuit riding the Panigale V4 S, specially prepared in a "limited edition" with a racing configuration. With free practices, qualifying practices and starting grid, it promises to be a unique experience and a chance to see some stiff competition with even a spectacular fly-by of The Frecce Tricolori Aerobatic Team. 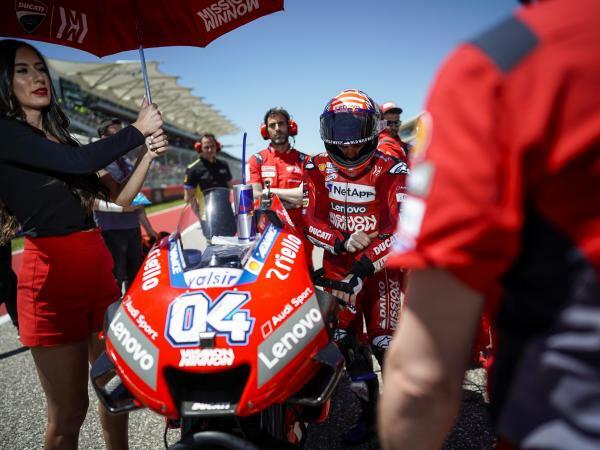 At the starting grid, the riders - like Dovizioso, Lorenzo, Davies, Melandri, Petrucci and Miller, also Bayliss and others still- will be ready to tough it out on the track in a battle for the highest step on the podium. Official timekeeper will be Locman, licensee of a line of watches dedicated to Ducati. Produced in a limited edition of only 500, the Monster 1200 25° Anniversario features a three-colour Italian flag livery on the nose fairing, tank and passenger seat cover, inspired by the 2008 Monster S4RS Testastretta Tricolore from 2008. The special colour scheme partners perfectly with the seat and its embroidered 25° anniversary logo. 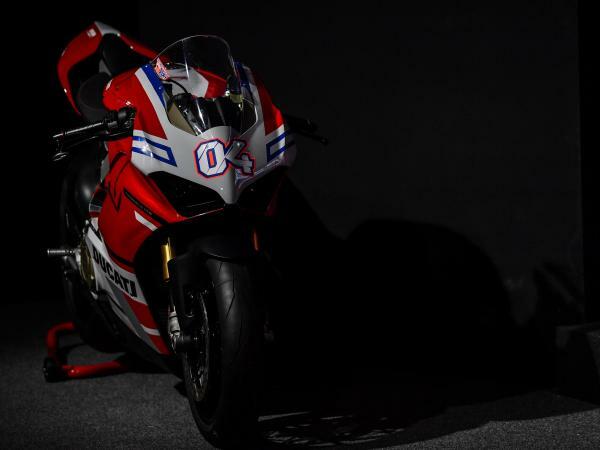 The motorcycle,unveiled by the standard bearer of the Ducati Team Andrea Dovizioso, will have an important space in the paddock of the WDW2018. 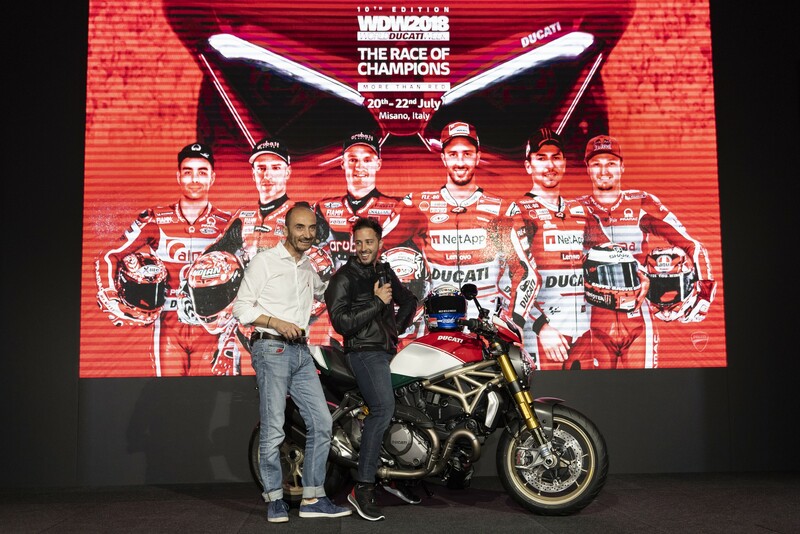 The public of the WDW2018 will have the chance to enter an exclusive “closed room” where they can admire a new Ducati motorcycle representing a preview of the Model Year 2019 which will be unveiled to the public during EICMA2018. The 2018 edition of the WDW will include special “Rookie” ticket prices, for young people aged 18-25, who can purchase a 1-Day Pass at a special price. WDW2018 also sees a number of new initiatives dedicated to millennials, such as test ride with depowered motorcycles and opportunities to tell and share emotions and experiences. Once again, the World Ducati Week can count on the active collaboration of the Municipalities and Administration of all the cities on the Riviera involved. 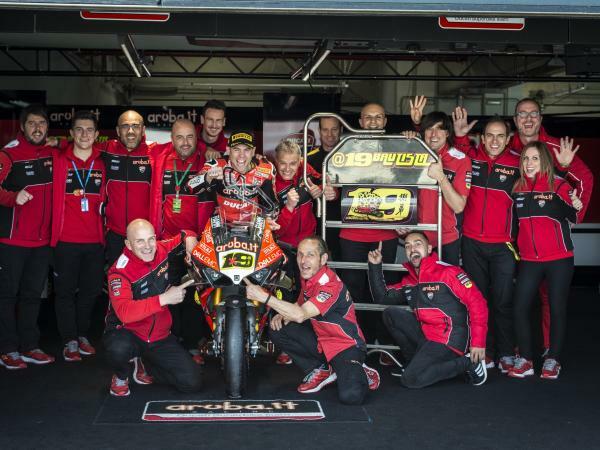 In Misano Adriatico beach lovers will have their own area: the WDW Ducati Beach. Not only, in Piazza Venezia and the pedestrian area along the seafront a “Kids Village” will be set up with attractions for children. The Republic of San Marino will host the official dinner of the Presidents of the 266 DOCs (Desmo Owners Clubs) from around the world. Thursday, 19 July the Municipality of Cattolica, in cooperation with the operators of the port area, will organize a welcome party for all Ducatisti at the Sunset Beach Arena starting at 6 pm. Rimini will host a long parade of motorcycles that will start from the Misano Circuit and arrive on Friday evening, 20 July at the seafront to then continue all the way to the pier. Livening up the evening will be a Scrambler party on the beach with the classic rustida, a mix of grilled seafood. 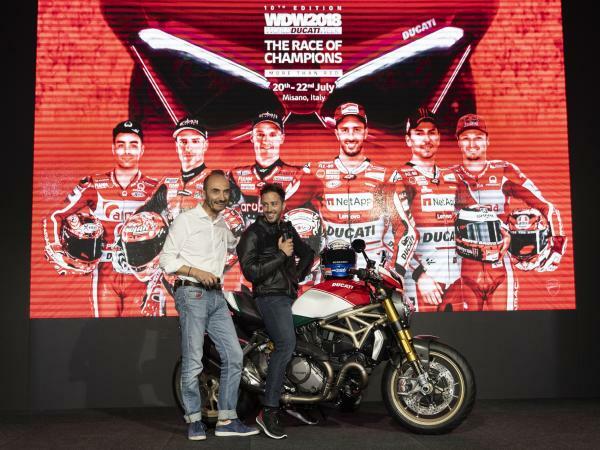 Piazzale Roma in Riccione will be the stage for Saturday evening, 21 July for the traditional presentation of the Team Ducati participating in the MotoGP and World Superbike. To follow, music and DJ Set with Linus and Radio Deejay and a surprise final concert. 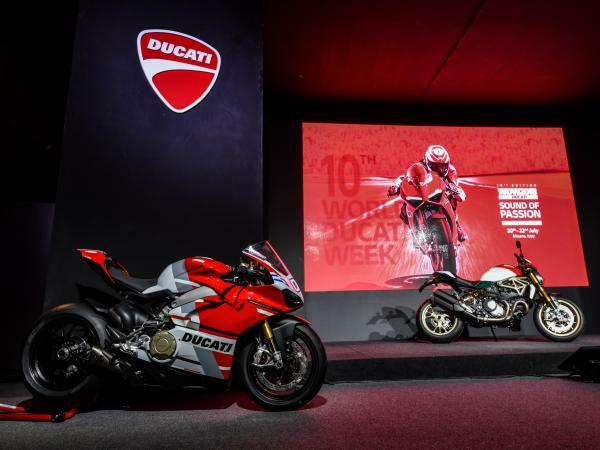 The WDW2018 will play a part in many activities of APT Emilia-Romagna Region and Ducati for the promotion of the Motor Valley brand. Last, but not least given its key role, the Misano World Circuit “Marco Simoncelli” which has hosted all editions of the event right from the start. Many partners have decided to actively participate in the event. Among them Termignoni, an example of Italian excellence and an institution for those who want maximum performance and an unmistakable sound, and Bosch, who is partnering with Ducati to develop even more advanced safety systems. As are Pirelli and Shell Advance, who are long-time partners of the Company. Others Official Partners present will include Aruba, Caligoo, Epico, Gruppo Hera, Summertrade, Unipol-Sai in addition to suppliers, technical partners and Ducati licensees who will offer their services, products and technical knowledge to make this edition of the event more memorable than ever. Ducati places great importance on sustainable management and for this large gathering it has received ISO 20121 certification for sustainable events management for the second edition in a row. This certification, which is part of the sustainable development policy of the Company, who is already certified to ISO 14001, guarantees that the organization of WDW2018 is conducted with environmental, social and economic aspects taken into consideration. At WDW2018 wide space will be given to the Ducati motorcycles in areas dedicated to each model. Ducati employees and technicians will be available to provide visitors with any type of information. The Multistrada range signifies entry into the universe of Travel, long journeys, exploration on different terrains and a lot of fun. The reporters of the tv show Dreams Road will recount their travels around the world riding Ducatis. A full immersion of sound is waiting to be experienced at the area dedicated to the Ducati Superbikes: Panigale V4 and 959 Panigale Corse. A unique chance to let mind and body be penetrated by the unmistakable symphony of the most awesome bikes ever. Inside the Misano Circuit the “Monster Village”, where the history of the naked bikes is told through the key models that have helped make it an icon. Live music, live Radio, a ride in a hot air balloon for a view of the paddock from the sky, and other fun activities are all to discover at the Scrambler Village of the WDW2018. The WDW2018 offers plenty of opportunities for visitors to challenge themselves on a Ducati motorcyle. The Ducati Riding Academy and the Scrambler Days of Joy will be there with “nuggets” of the Enduro, Safety and Flat Track School courses. Over the three days participants will be able to take test rides of the Ducati and Scrambler range. As with every edition, the 266 clubs(Desmo Owners Clubs) provide an international dimension and infuse a strong sense of belonging to the community. Boasting more than 35,913 members in 59 countries around the world, the DOCs are a key component of the Ducati universe. For anyone who wants to join in on the three days of guaranteed fun, there's still time to buy an entry ticket to the World Ducati Week. Tickets are available on the Ducati official website and also through the Ducati dealer network at a special price, or else through any one of the DOCs around the world. A 3-Day Pass includes the chance to participate in exclusive activities, like test rides of the Ducati range, a ride on the circuit with one's own motorcycle or DRE courses of the Ducati Riding Academy. The 2018 edition of the WDW will also include special ticket prices for different categories, like the Rookie, for young people aged 18-25, who can purchase a 1-Day Pass at a special price. And, to make it easier for families to participate in the event, there will be free entry for accompanied minors up to the age of 18, for a maximum of 4 minors for each family unit. As in previous editions, participants from outside Europe will be allowed entry free of charge. 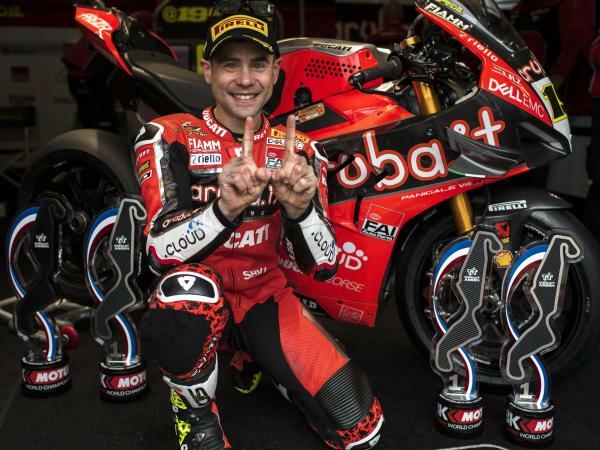 For more information on tickets, activities and the programme, please visit the wdw.ducati.com. Regular updates before and during the event are broadcasted via the new Official WDW App of World Ducati Week 2018. Download from Apple Store and Play Store.